Checkers and Rally's latest is the new Sweet & Spicy Chicken Bites & Fries Box for $2. 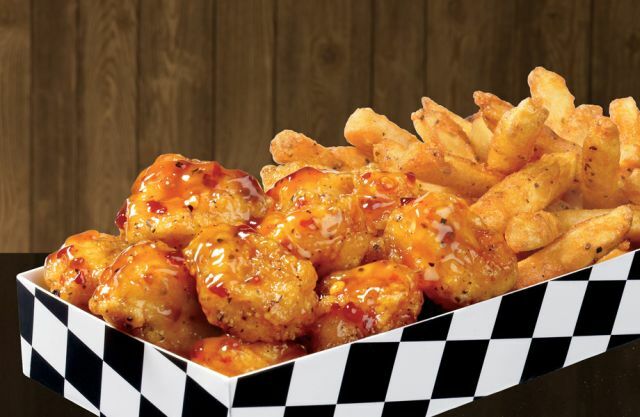 As you may have guess from the name, it features battered and fried Chicken Bites tossed in a Sweet & Spicy Sauce that combines orange, honey, and chili peppers plus an order of the chains' Famous Seasoned Fries for $2. The $2 value combo is available for a limited time at participating locations. Photos via Checkers / Rally's.